An image of Henry Ringling North from the collection of his private papers, now housed in the Milner Library Special Collections. Henry Ringling North—known as Buddy—ran with Ernest Hemmingway and John Steinbeck, worked for a spy organization during World War II, helped to lead the “Greatest Show on Earth,” and participated actively in its storied history for decades. 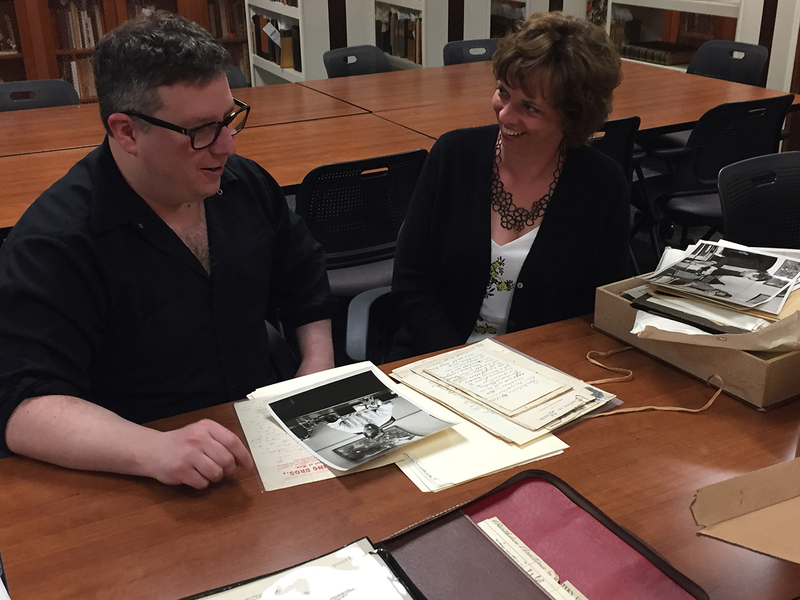 Mark Schmitt (left) and Maureen Brunsdale discuss photographs and letters from the new Henry Ringling North collection at Milner Library. Though Ringling Brothers and Barnum and Bailey Circus will soon perform for the last time, the Ringling legacy will live on. The private papers of North, a nephew of the five brothers who founded Ringling Brothers, now have a home at Milner Library at Illinois State University. Milner Library Director of Special Collections Maureen Brunsdale calls the collection of more than 15 boxes filled with letters, images, and documents a treasure. “While circus museums have wonderful repositories of show history, there is nothing that has this kind of personal history,” said Brunsdale. A letter from novelist Ernest Hemingway to Henry Ringling North. 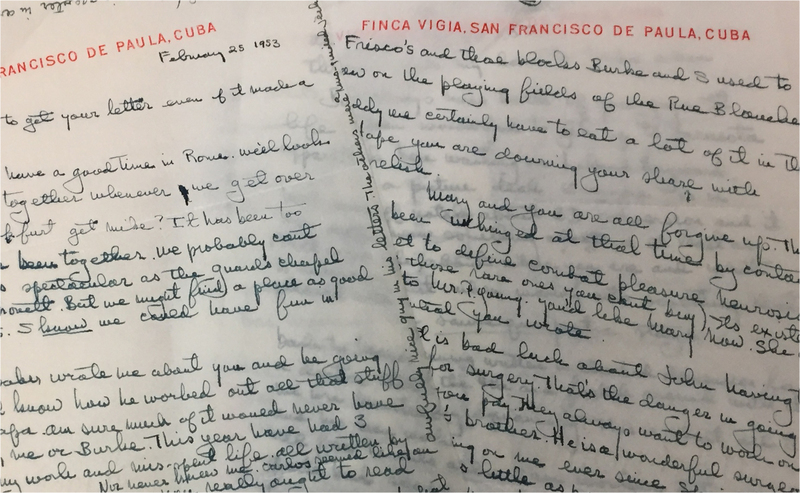 The Ringling North Collection also includes insights into North’s life, from World War II commissioning for the Office of Strategic Services—a precursor for the Central Intelligence Agency—to letters from an elite group of friends, including a letter Ernest Hemmingway penned from Cuba. The papers came by way of donation from North’s son, who had them sent from his father’s home in Switzerland. John Ringling North II knew of the Special Collections at Milner through Brunsdale. 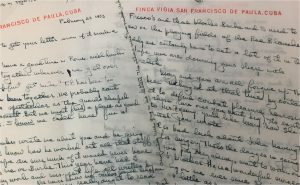 Milner Library possesses thousands of letters, journals, posters, routebooks, and memorabilia from circuses around the world. North II continues in the family tradition and owns the Kelly-Miller Circus. For more information on the collection, contact Brunsdale and Schmitt at (309) 438-2871 or email milnerspc@illinoisstate.edu.